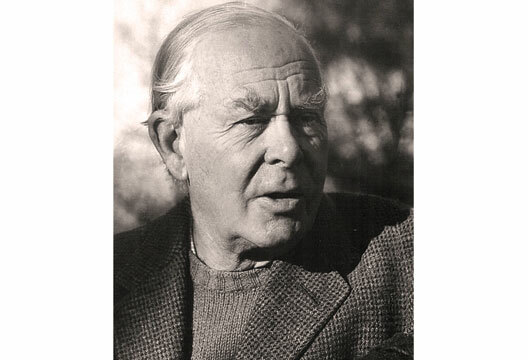 John Bowlby (1907–1990) first attained fame – some would say notoriety – in 1951, with the publication of his monograph Maternal Care and Mental Health. In it he presented evidence that maternal care in infancy and early childhood is essential for mental health. He claimed this as a discovery comparable to that of the role of vitamins in mental health. Bowlby’s own experience of maternal care seems to have been limited. He came from a conventional, upper middle-class background, his father a surgeon, knighted for his services to the royal family. According to the custom of this social class, Bowlby and his five siblings were cared for by a nursery staff, at the top of the house, visiting their mother in the drawing room from 5 to 6pm each day. Aged four, he was heartbroken when his nursemaid left. At nine he was sent to boarding school. He later told his wife ‘he would not send a dog to boarding school at that age’. It seems likely that these experiences sensitised him to issues of attachment and loss, although his only, cryptic, public comment was that he had been ‘sufficiently hurt but not sufficiently damaged’ by them. After public school, he read medicine at Cambridge and University College Hospital, and did voluntary work in an analytically oriented school for maladjusted children, before starting a seven-year Kleinian psychoanalysis, and training as an adult psychiatrist at the Maudsley Hospital. Working in the London Child Guidance Clinic before the war, Bowlby’s views soon began to diverge from those of his psychoanalytic mentors. He became convinced that they greatly exaggerated the role of fantasy in children’s psychological disturbances, which he believed were primarily the result of damaging life experiences, especially separation from their mothers. This led him to warn, unsuccessfully, against the evacuation of children under five without their mothers at the beginning of the war. In 1944 he published a paper showing that of 44 children referred to his clinic for stealing, 14 were ‘affectionless’, and 12 of these had been separated from their mothers for at least six months when under five. His argument that young children are harmed by maternal deprivation – whether through separation, or too many changes of, or absence of, a mother figure – was supported largely by this study of young thieves, and some methodologically weak studies by Spitz and Goldfarb of institutional and ex-institutional children. Bowlby concluded that all children need to have a warm, intimate and continuous relationship with their mother or a permanent mother substitute. Moreover he believed that there is a critical period for this relationship to develop, from 6 to 30 months. If the relationship is absent then, or broken, the consequences are severe and irreversible. Mothering is almost useless if delayed until after the age of two, and the child will grow up psychopathic, or at best affectionless, unable to form close relationships with others. He expressed his firm opposition not only to institutional care and separation in hospitals, but also to day nurseries or schools for children under three. Even those aged three to five should only attend part-time, and mothers with young children should, if necessary, be paid to stay at home. The book made a tremendous impact on the general public. I think this was because it appeared at a time, soon after the end of the Second World War, when there was a big movement to get women, in many ways liberated by their wartime work experiences, to stay at home. Professional women like myself – I had my first baby in the year the book was published – became worried that they would damage their children by returning to work even on a part-time basis, and those who worked full-time were widely criticised. Many nurseries closed, and nursery schools switched to taking children only on a part-time basis. We should, perhaps, have known that these measures were questionable, since for generations women in the north of England had worked full-time in the mills, with no apparent north–south difference in the incidence of psychopathy. Some psychologists at once criticised Bowlby’s theories. They objected that the evidence on which they were based was too shaky to permit such generalisations, consisting as it did largely of observational studies in one deplorable orphanage, where there were many other forms of deprivation, and retrospective studies, where selective factors were probably involved. His ‘monotropic’ assumption that infants have only one preferred person, who is always their mother, the father’s role being to support her emotionally and financially, was contested. His assertion that there is a brief critical period in the development of attachment, which, if missed, inevitably leads to severe and irreversible damage, was also met with scepticism. What is much less widely known is that Bowlby considerably developed and modified his theories over his lifetime, driven by a desire to be more scientific in his approach, and to incorporate and respond to the concepts, methods and findings of other disciplines. (The stages of Bowlby’s thinking can be followed in a 1979 collection of his articles, The Making and Breaking of Affectional Bonds). Initially, he accounted for the dire consequences of maternal deprivation in psychoanalytic terms, as due to the failure of the children’s egos and superegos to develop adequately. This was because the normal childish conflict between ‘the impulse to obtain libidinal satisfaction’ and the impulse to hurt and destroy the ‘love object’ was intensified by separation, to a degree which their egos were too weak to resolve. Hence, these intense feelings remained in the unconscious, unresolved, leading to later personality disturbance. But Bowlby was remarkably open to influences from other disciplines. During the 1950s his weekly workshop on parent–child relations included, besides both a Freudian and a Kleinian analyst, psychologists who were behaviourists, a Piagetian, an ethologist, and psychiatric social workers. Within a few years he became critical of psychoanalytic theory because of its failure to make systematic observations, the obscurity of many of its hypotheses, and its failure to see any need to test them. In 1956 the findings of his own study of early hospitalised children led him to write that he and others had overstated their case about the inevitable dire consequences of early separation. Theoretically, he switched to an ethological explanation of the importance of mother–child bonding, in terms of its biological survival value, as well as its importance for emotional development. He saw a parallel between this bonding and the concept (later repudiated by ethologists) of imprinting in animals and birds, a process said to occur during a limited time period and to be irreversible. He was inspired by ethology to initiate observational studies of young children entering hospital and residential nurseries. He was struck by the resemblance between the stages of protest, despair and detachment observed in them after separation and the process of adult mourning. During the 1960s Bowlby turned to study the normal process of attachment, working with a psychologist, Mary Ainsworth, with whom he developed attachment theory. This emphasised that attachment relations are important throughout life, and that later relationships and social and emotional functioning depend on the security of the first attachment. Ainsworth’s Strange Situation procedure was devised as an objective, observable way to elicit different patterns of attachment behaviour in 12- to 18-month-old children in standardised situations with their mother. Secure children, who used their mothers as a base from which to explore, and to return to for reassurance, were said to be those with sensitive, responsive mothers. It was predicted that they would later develop confident, positive social relationships. Bowlby concluded from research with this procedure that at least a third of children have mothers who do not provide them with security, because of their own emotional problems. Attachment theory and research have subsequently burgeoned (see Helen Barrett’s excellent 2006 book Attachment and the Perils of Parenting for an account). To understand how early attachment patterns can have lasting effects, by the 1970s Bowlby had adopted the concept of ‘internal working models’ from a cognitive psychologist, Kenneth Craik. He postulated that such models, built up by young children from their experiences and from what they are told, consist of expectations about how people will respond to them, and they to others. At first the models, whether based on negative or positive experiences, are tentative, but they tend to be confirmed and to persist. Thus any initial emotional damage to children tends to be perpetuated, although to some degree it may be moderated by subsequent experience. He drew on information-processing theories to explain the increasing resistance of these models to change. These concepts led him to withdraw his initial belief in a critical period for bonding, which had been called into question by later research. In the last part of his life, strongly influenced by the writings of Michael Rutter, he abandoned his original insistence on the irreversible consequences of maternal separation. In 1988 he wrote that ‘the central task is to study the endless interactions of internal and external factors, and how the one is influencing the other not only during childhood but during adolescence and adult life as well… Present knowledge requires that a theory of developmental pathways should replace theories that invoke specific phases of development in which it is postulated that a person may become fixated and/or to which he may regress.’ His concern remained with the concept of attachment, but his interest had shifted to the problems of adults with dysfunctional working models of attachment. Unfortunately, it is his original crude theory that has stuck in the public mind. Bowlby’s theories, by emphasising the role in development of experience as opposed to fantasy, constituted an important critique of psychoanalysis. They were also important in drawing attention to the emotional suffering that young children can undergo in separation, which led to more humane practices in hospital and child care. But his influence was felt by many women as oppressive, until feminism and the growth of consumerism led to mothers returning to work with greater confidence. In my own case, my first major research project, a longitudinal study of children who spent their first two to five years in English residential nurseries, was inspired by doubts about Bowlby’s theories. In fact, we found that he was partially right. Whilst by 16 many of the ex-institutional children, especially the adopted children, had formed strong and loving relationships with their parents, they more often had problems with their peers than other children. But these problems occurred in only half of the children, and were more frequent in those who returned to their own families, with all their problems, than those who were adopted, and had much attention and care lavished on them. Unlike me, my late husband Jack took little interest in Bowlby’s work. Like Bowlby, during the 1950s he was concerned about the effects of institutional care: in Jack’s case, on adults and children who had been certified as ‘mental defectives’, and incarcerated with an almost indeterminate sentence in huge institutional ‘colonies’. Jack’s interest was in improving the patients’ lives, by setting up occupational training for the young adults, which often made their release into the community possible, and by an experimental transfer of severely retarded young children from a large hospital ward into a small, nursery-like hostel. His motivation was humanitarian and libertarian. He was influenced by, and liaised with, the National Council for Civil Liberties (now ‘Liberty’) who were then campaigning for the release of specific adults, certified when teenagers, often because of a combination of school failure and minor delinquency. Unlike Bowlby, Jack saw that there was sometimes a role for institutional care, and was concerned to understand how institutions worked, and how to improve them.